India. 19th February 2014. With a booming growth in technology, media and connectivity, The Brand Trust Report, India Study, 2014 (BTR 2014) has declared Google as the Most Trusted Internet brand for the fourth year in a row. Yahoo was a close second bridging the gap of 145 ranks in the year 2013 to a 105 rank gap in the year 2014. TRA, a Comniscient Group Company, is the publisher of BTR 2014 which lists 1200 brands from 284 categories this year. YouTube jumped 202 ranks to become the 3rd Most Trusted Internet brand. A fall of 194 ranks leaves Facebook 4th in the overall category from the previous year where it was placed in 2nd place. Olx.in follows as India’s 5th Most Trusted Internet brand with a marginal difference in BTI (Brand Trust Index) from the previous brand. A significant change has been noted in the number of brands represented in the Internet category that have gone up from 25 in 2013 to 31 this year reflecting the increase in the trust Internet based exchanges have begun to garner as a whole as well as a distinct rise in the number of new applications and sites this past year. “With most of the new brands entering the Most Trusted list this year being from Online Shopping or Internet Services, there will be no stopping these brands from seeing accelerated growth over the next 12 months,” Chandramouli added. 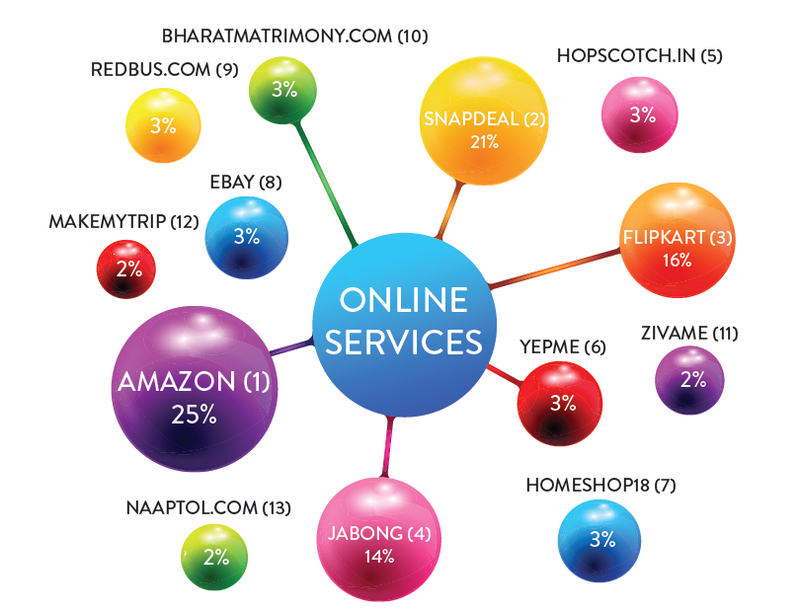 Category wise, Naukri.com leads in Online Job portals, Nimbuzz as an Internet Tool, Olx.in for the Online Shopping category, Facebook in Social Networking and Whatsapp in Social Networking App. The Brand Trust Report, India Study, 2014 (ISBN:978-81-920823-6-3), the fourth in the series, is the result of a primary research based on the proprietary 61-component Trust Matrix. This year’s research was conducted among 2500 consumer-influencers across 16 cities, and generated nearly 5 million datapoints and 20000 brands, making it the most intensive study on Brand Trust across the globe. Trust Research Advisory (TRA), a part of the Comniscient Group, is a company dedicated to understanding and simplifying concepts related to Trust. TRA was conceived in 2008 to decipher, analyze and measure Brand Trust, to make it universally understood and easily applied. Apart from The Brand Trust Report, TRA also publishes India’s Most Attractive Brands, a study based on TRA’s proprietary Attractiveness Quotient Matrix. Committed to create metrics for better resource allocation for brands, TRA owns the global copyrights to Brand Trust and Attractiveness Quotient Matrices.